Asian Medicos Enterprise offers a comprehensive range of hospital equipment and furniture. The company supplies operation theatre equipments, X-ray equipments, dental chairs and cabinets used in the medical fraternity and many more. These products are designed, manufactured and marketed to ISO 9001:2008 standard. 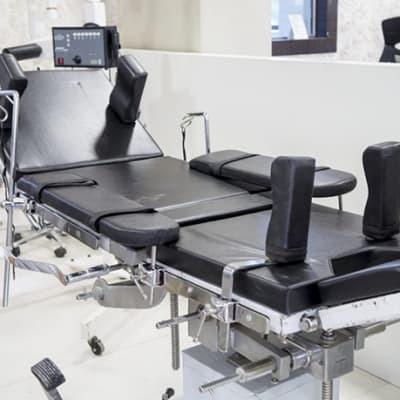 B Square specialize in a broad spectrum of quality hospital equipment and furniture, namely medical beds, delivery beds, patient transport trolleys, medical carts, instrument trolleys, examination tables, overbed tables and other hospital peripherals and accessories.